Serve well chilled, with plenty of ice. For a small serving (2 glasses) use ounces, for a large batch, measure in cups instead. You can scale up or down your measurements by using the same ratio of units/parts for the ingredients. Mix together and serve over ice. Enjoy! 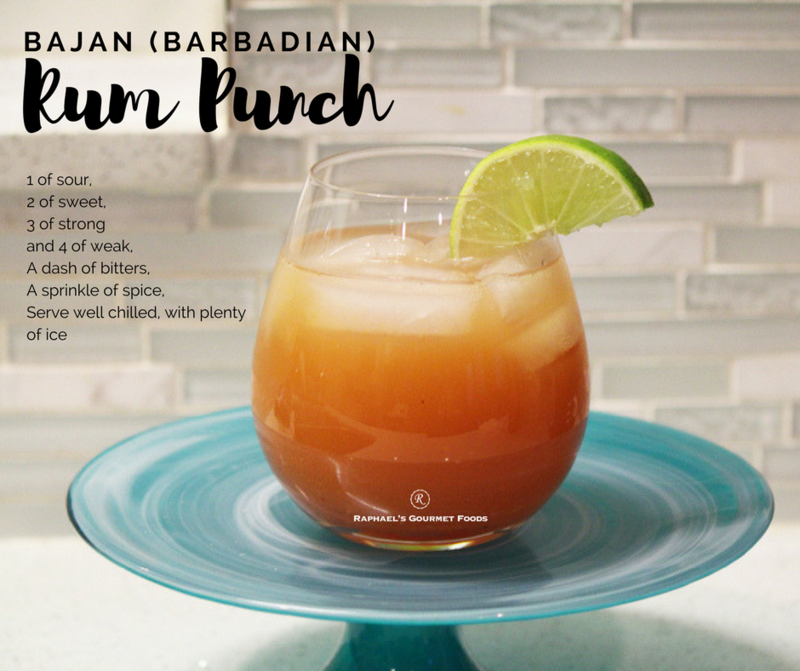 Note: Traditionally, the original Bajan Rum Punch is mixed with water, but we like it with a blend of pineapple juice and guava juice for “4 of weak”. If you’d like it less sweet and with a stronger rum flavour, then use water as the mix. You can also make a delicious non-alcoholic fruit punch for kids by removing the rum and the bitters.